Publishing in the space where the bike and tech meet has led to many serendipitous moments over the years. I’ve found that the same people into bicycles are also into gadgets and taking photos. One such moment happened last month when I stopped by the shop and my colleagues from Digital Photo Review were there using it as a backdrop for a story about the Fujifilm X-E3. 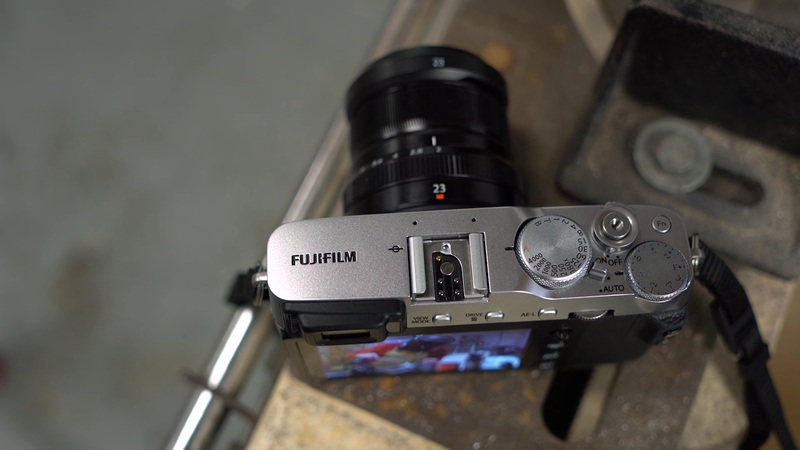 A Fujifilm X-E3 in the machine shop at Davidson Kullaway Custom Bikes in Seattle. 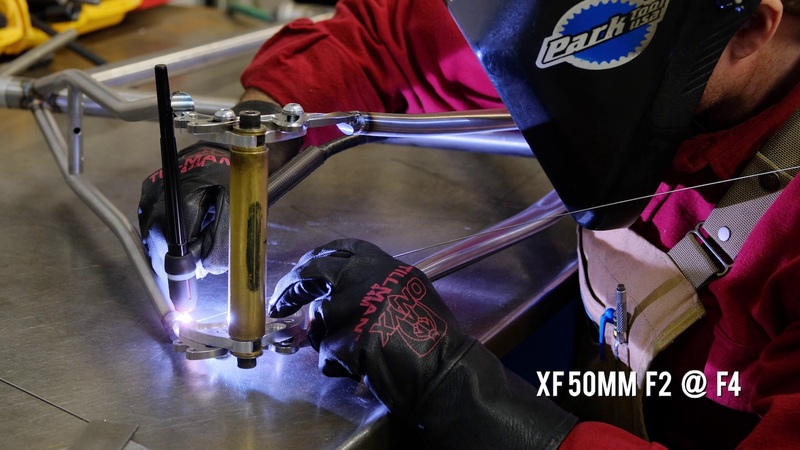 Their X-E3 video is live now and while going over the features of the camera shows Max welding, Mark V working on bikes, Adam painting, and an unusually clean shop. 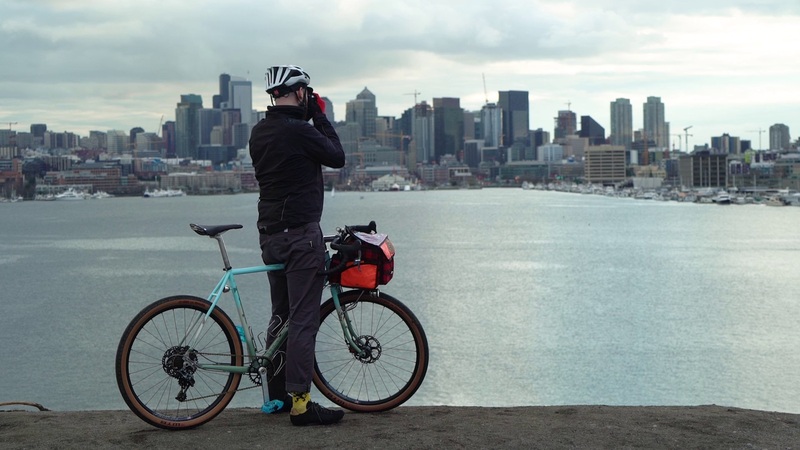 We followed the work of Seattle bike builder Max Kullaway as he built one of his AirLandSea bikes, documenting the process with the Fujifilm X-E3, and hoping to get a sense of why some people end up forming such personal attachments to their bikes. 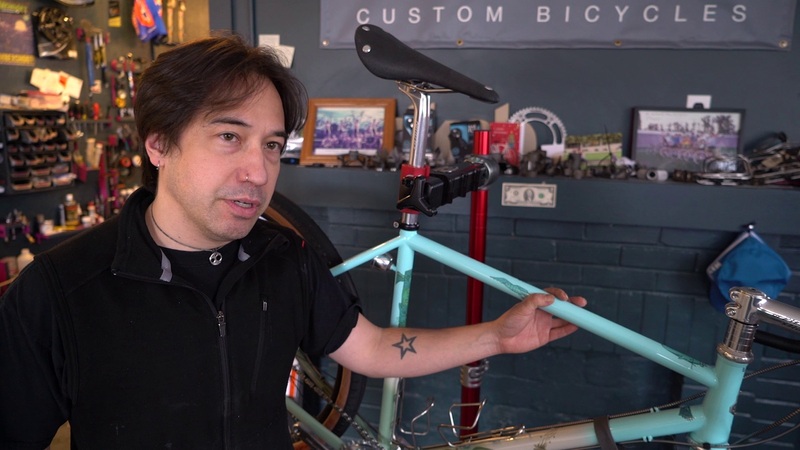 As longtime readers know, Max has welded at least 4 of my bikes and Mark has designed them for the past decade of publishing Bike Hugger. A closeup with an XF50MM lens and Mark explaining the AirLandSea build. The X-E3 a small, classic-looking mirrorless camera with the innards and spec of a mid-range DSLR. It retails for $899 and according to the video is a bargain at that price. Richard Marwood taking a landscape photo of Seattle looking across Union Bay. Notice all the cranes. 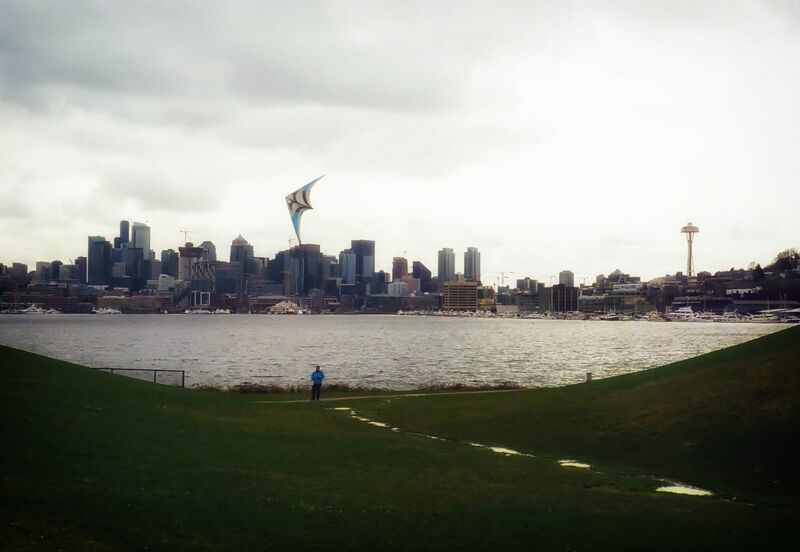 You’ll likely notice similar scenes to what we’ve shared here from the shop and a ride on the Air, Land, Sea around Gasworks Park. I was at the shop shooting that day too, but with a film camera, and took this frame from the bottom of the grassy hill Richard is on in the photo above. A photo I took with just below the spot where Richard was riding the AirLandSea. Seeing DPR at the shop is a good reminder to encourage you to visit one near you as well. There’s always something going on. Maybe you’ll see a film crew there too. Sometimes it feels like all the people and bicycles are sea foam and driftwood brought in by waves lapping at my feet. They come to this shore whether I stand here or not, as they’ve always done before I arrived, as they will after I’ve left. All that I need to do is keep up with tasks so as not to drown or get swept out with the tide. And it was this duality of necessity and pointlessness that I was pondering when the film crew invaded my mechanics’ area like wide-eyed tourists. Mark has been too buried in spring orders to document his thoughts about the DPR film crew but did note that the X-E3 was a nice little camera. One that a cyclist could take with them on any sort of a ride in the Pacific Northwest and get attached to like their bike.